The highly anticipated sequel to the original John Carpenter classic has finally come to theaters and is looking to break box office records this weekend. From the moment the Universal logo pops onto the screen right down to the final credits, director David Gordon Green and his co-writers, Jeff Fradley and Danny McBride, entertainingly showcase their knowledge and love for the slasher sub-genre, in particular the Halloween franchise. There is a fine balance of overwhelming drama, pulse-pounding horror and some lighter, comedic moments. Although some characters aren’t fully developed, it’s to be expected in this type of film. Even so, the wonderful thing about the characters is how much you root for them in spite of their flaws and the circumstances in which they find themselves in. Their portrayers are unique and fit very well in the modern day Haddonfield, Illinois setting. 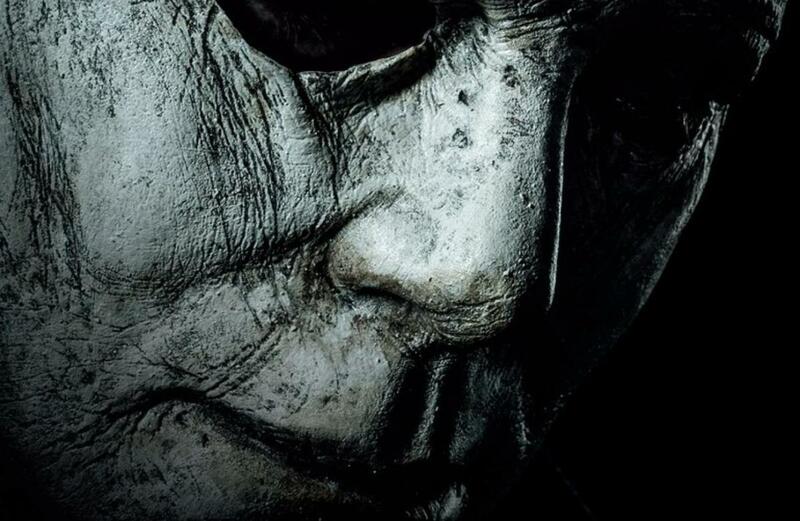 It is perhaps noteworthy that anyone who has paid attention to the marketing of Halloween will notice several moments from the trailers and TV spots don’t appear here. There are also alternate takes from what we’ve seen in those trailers. That’s not exactly a bad thing, however it does raise some questions about why certain things were removed when they’re seen in virtually every promotional piece. Then again, there’s more to John and Cody Carpenter’s and Daniel Davies’ score than we’re given on the soundtrack. Upon first viewing, some of where the score is sprinkled in may seem out of place, but it doesn’t distract from the fantastic visuals on screen. Halloween is presented in an anamorphic 2.39:1 aspect ratio, much like the first one, only this is the first film in the series shot digitally. It provides a fair share of fan service and utilizes that nostalgia to balance horror and emotional pathos. Jamie Lee Curtis does an outstanding job bringing Laurie Strode back to the screen. It is honestly her best performance in years, and it’s most certainly worthy of an Oscar. A lot of work goes into the running, fighting, crying, panicking and emotional occurrences on screen and, almost effortlessly, she masters all of it. Co-stars Andi Matichak and Judy Greer are also deserving of mentions, as they had a lot of emotional and physical scenes. As far as being a sequel to one of the greatest horror movies of all time, it’s a tremendous companion piece with a powerful narrative; told by avid franchise fans. James Jude Courtney and Nick Castle do not disappoint as Michael Myers, nor is any of the acting in this terrible. If there’s one thing about Michael that sticks out, it’s that he’s never really in the shadows. You sort of know where he is at all times. Visually, it’s appealing, however, it’s a much different Michael than in the 1978 film, where he’s mostly kept in the shadows. Dean Cundey’s cinematography wasn’t as referenced for this as I thought it would be. That’s not to say Michael Simmonds did a bad job; the lighting is beautiful and eerie, but it doesn’t feature that ghostly blue the original has. Some of the wardrobe pieces seemed familiar, too. For example, the Vicky character is seen wearing a yellow and white shirt, identical to Tommy’s pajamas in the original. Laurie’s hat on the wall in the original bedroom scene can be seen in the background of one shot. The pacing of the film is much different than the original’s as well. It didn’t feel like a movie nearing two hours. It felt very short, almost like Halloween: H20, but way, way better. The set pieces and locations used in the filming are brilliantly used and really bring back the small town feeling. This is the first Halloween movie since Halloween 4 that made Michael seem like he could be anywhere at any time. 2018’s Halloween an impressive entry and rightfully ranks higher than some of the other sequels in the franchise’s controversial history. The lighting, the dialogue, and the acting all fit well with David Gordon Green’s capabilities as a director. For his directorial debut in the horror genre, he doesn’t disappoint.